During the cold winter months, staying warm and bundled is just part of daily life. Also part of daily life these days is using touch screen devices like smart phones and tablets. Unfortunately, these two realities rarely go hand in hand. Texting, emailing, taking photos, and playing mobile games can be a challenge during a winter chill. 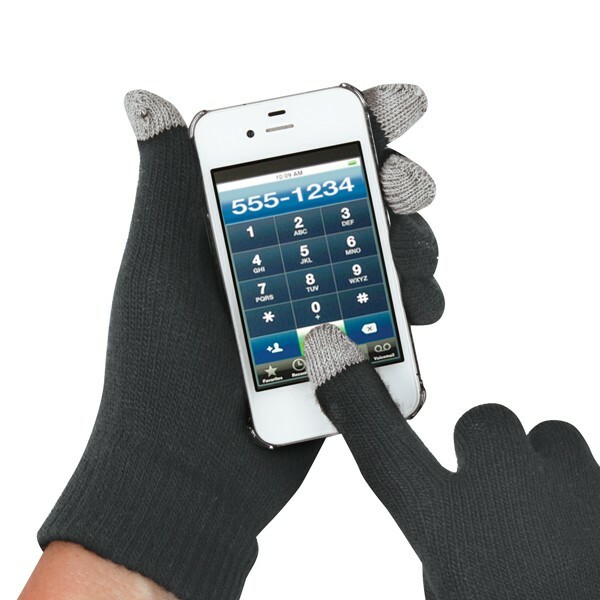 You want to use your smart phone, but you sure don’t want your fingers to get cold! It’s a good thing Touch Screen Gloves can give you a hand! Woven with special conductive fabric into three of the fingertips on each glove, Touch Screen Gloves will allow you to use your mobile device while keeping your hands and fingers warm. Simply put, you won’t ever have to sacrifice your productivity or entertainment just because it’s cold out. Now the winter chill won’t get in the way of responding to texts, taking a selfie, or surfing the web on your mobile device! How cool is that? To get your hands (and fingers) on your very own Touch Screen Gloves, visit dreamproducts.com.